Now that there is only about two months left until TVB’s awards season, discussion on who would take home this year’s TV king and queen awards are going back online. And according to netizen speculation, this year may be a surprise. 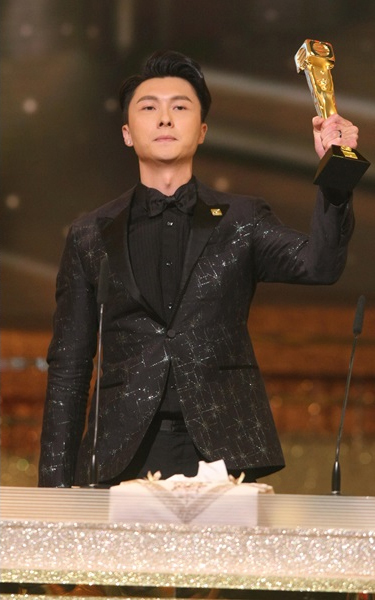 Last year, Legal Maverick’s <踩過界> Vincent Wong (王浩信) took home the TV King honor for the first time. It was a well-deserved win, as out of his competitors, he was the only actor who had the most high-profile and critically successful releases in 2017. Though his winning work was Legal Mavericks, a weekend drama, Vincent also drew attention for his performances in My Unfair Lady <不懂撒嬌的女人> and the anniversary drama, Heart and Greed <溏心風暴3>. However, it doesn’t appear that Vincent would win TV King a second time this year. His only nominated work would be the anniversary drama Fist Fight <兄弟>, which has yet to broadcast. By the time the TVB Anniversary Awards rolls around, Fist Fight would still be on air. In the past 20 years, only Dayo Wong (黃子華) from 2013’s Bounty Lady <My盛Lady>, Roger Kwok (郭晉安) from 2005’s Life Made Simple <阿旺新專>, and Louis Koo (古天樂) from 2001’s A Step into the Past <尋秦記> managed to win Best Actor before their dramas completed broadcast. As for Best Actor favorites Roger Kwok, Ruco Chan (陳展鵬), and TVB newcomer Shaun Tam (譚俊彦), a 2018 win also appears unlikely for them. 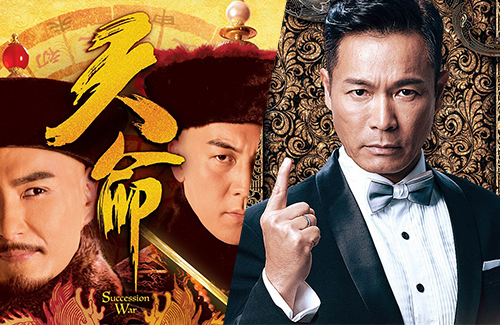 Roger Kwok’s Another Era <再創世紀> is one of 2018’s lowest-rated television dramas, and Ruco Chan’s Succession War <天命>, which also starred Shaun Tam, averaged only 21.5 viewership points during its broadcast. 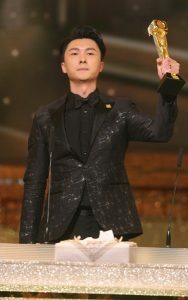 Shaun Tam also has The Stunt <特技人> as his second nomination, but the action drama only averaged 22.4 points. If taking viewership ratings into account, neither Roger, Ruco, nor Shaun would have a high chance at winning TV King. Carlos Chan in “Daddy Cool” (2018). When taking both performance and popularity into account, Daddy Cool’s <逆緣> Wayne Lai (黎耀祥) and Deep in the Realm of Conscience’s <宮心計2深宮計> Steven Ma (馬浚偉) have good chances to win. However, Wayne has already won TV King three times, and Steven is not a frequent collaborator with TVB. The remaining possibilities are the dark horses—Daddy Cool’s breakout star Carlos Chan (陳家樂) and rising TVB actor Benjamin Yuen (袁偉豪). 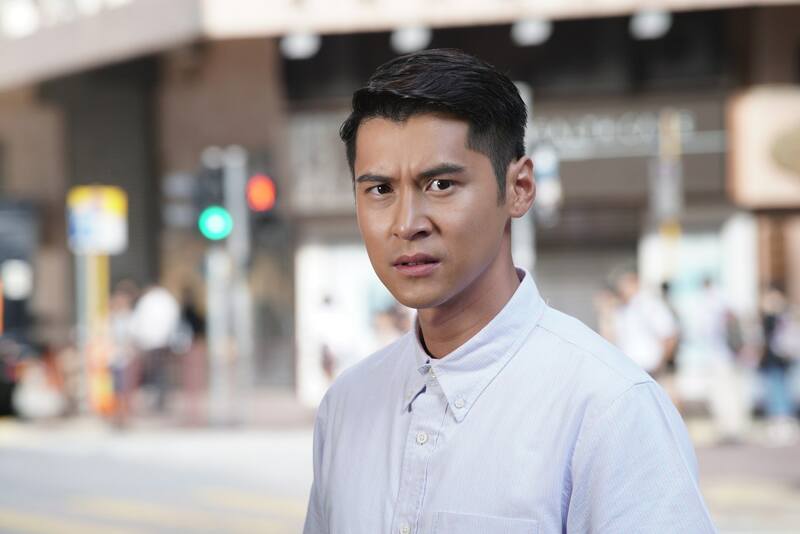 Of the two, Benjamin Yuen appears to have a better chance—being a managed TVB actor and with three dramas for 2018, Benjamin Yuen is 2018’s hot new rising star, much in the same way as how Vincent Wong was last year. Carlos Chan for the win. He was amazing in Daddy Cool. He made me believe he was John Chiang’s father and Wayne’s grandfather. Very convincing. @funnlim I’m rooting for Carlos as well, for the same reasons as you, though with the added bonus of having watched some of his movie performances, which shows the spectacular range and also depth he has to his acting. But his chances are low, since he’s not a TVB managed artist, plus it can be argued whether his role in the series was actually lead or supporting. Either way though, I’ll be happy for him. In any case, nominations aren’t even out yet so discussion is too early in my opinion. But Carlos did score a nomination in China’s Huading Awards (their equivalent of People’s Choice Awards) for his performance in Fox Asia’s series Trading Floor — that I’m definitely happy about (regardless of whether he wins or not)! Benjamin…they are talking about Best Actor and not Razzie Award for Leading Actor right? I’d rather Vincent be crowned twice in a row, than to see Benjamin take home the award. Ideally, I’d like Carlos to win, but we all know that’s not happening. Oh well… better to not win having people think you’ve been robbed than to win having people think you’re undeserving.